Class up your glass with a saucy lass. 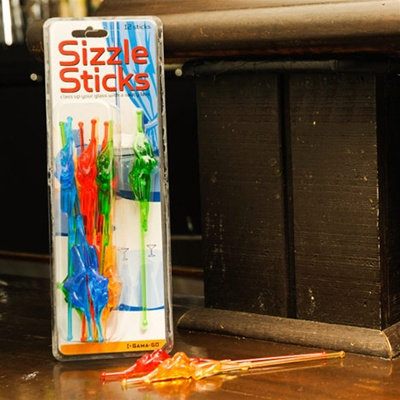 Get your party swinging with these lively go-go dancing swizzle sticks. Whether your Raymond's Fizz needs a twist or your Singapore Sling could use a kick, these scintillating sirens will do the trick. This pack includes twelve ladies guaranteed to add some sizzle to your favorite libation.